Ladies and gentlemen, a new NFL season is upon us! 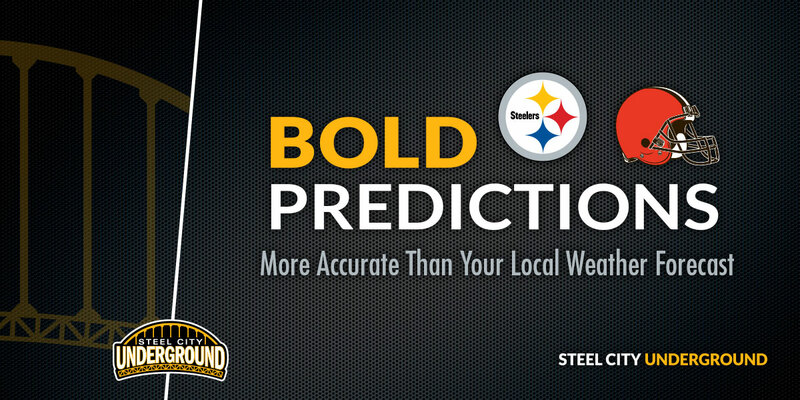 That leaves me wide-open for a plethora of new predictions, including this brand-new batch for this weekend’s highly anticipated encounter between AFC North foes, the Pittsburgh Steelers and Cleveland Browns. Here’s what my shady-looking crystal ball envisions happening! The line for this game is -4 points for the Steelers. I have no issue with that, as the Browns (as well as the rest of the division) always come to play. I also believe Mike Tomlin teams are always ill-prepared in the early weeks of the season, but I don’t think they’re so ill-prepared to drop their first loss to the Browns, whom they’ve beaten in six straight games. If the game is as close as the bookies believe, then this could come down to Boz’ leg once again. The Eagles and Falcons were penalized a total of 26 times for 236 yards in Thursday’s season opener. Fourth-year referee Shawn Smith’s crew averages 13.8 flags for 125 yards over the course of the last three seasons. In 19 of those 45 games, they have called 15 or more accepted penalties. One-third of those games have had at least 145 penalty yards with 3 climbing over the 200 mark. I expect the early season jitters to slowdown the game, as well as newer “don’t breathe on anyone” rules to adversely affect both teams. While Browns starting quarterback Tyrod Taylor is mobile, he was still brought down five times when the Steelers played the Buffalo Bills in 2016. That Bills line was infinitely more talented than whatever lineup the Browns will field Sunday. Cleveland’s left side of the line is a mess now with the retirement of Joe Thomas, and center JC Tretter may have his hands full with anything to that side. Former Steeler Chris Hubbard is the full-time right tackle and will have to prove he’s a starter in the NFL. 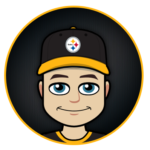 This should open the flood gates for everyone upfront: TJ Watt, Bud Dupree, Cam Heyward, Stephon Tuitt and Vince Williams (who was second on the team with eight sacks last season). Toss a DB blitz in somewhere and four sacks shouldn’t be a hard number to reach, with potentially more if Cleveland can’t establish the run. Bell exhibited signs of rust in this same Week 1 situation against the Browns last season. 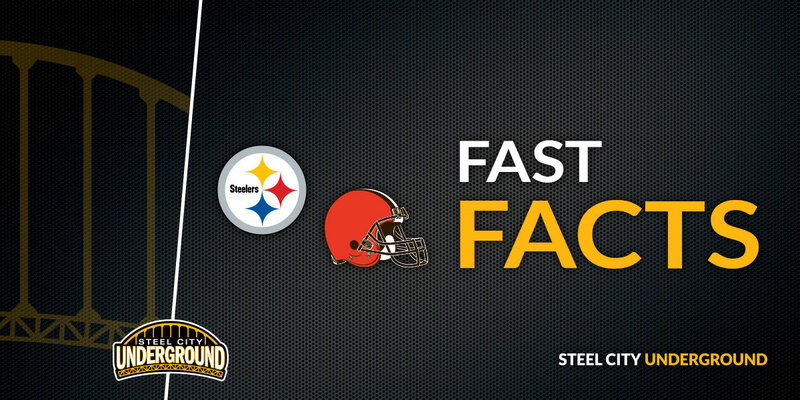 The All-Pro back struggled, carrying the ball ten times for 32 yards and catching only 3 passes for 15 yards. I expect the Steelers offensive line to be fully fired up from this week’s “holdout” distraction and prove their point that they are paving the way for Bell’s big payday by making James Conner look like the star in the making he already appears to be. Look for a least two runs of 12 or more from Conner and somewhere between 80-100 yards rushing. The only reason I don’t go more bullish is because I believe Jaylen Samuels will vulture some receptions and maybe even a touchdown, playing in a timeshare. 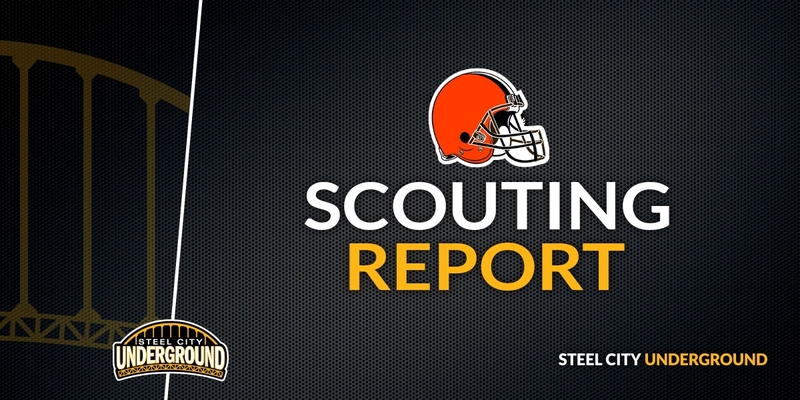 A 100-yard game to open the season is in the mix as the Browns attempt to blanket Antonio Brown. JuJu is poised for a breakout season, and I have no doubt he has some touchdown celebrations thought up that he wants to use, giving him further incentive to carve up Cleveland’s secondary. Finally, there’s a lot of hoopla over Ben Roethlisberger’s last two offensive coordinators being involved in this game. Bruce Arians will be doing color commentary in the booth, while last year’s OC Todd Haley is now on the opposing sideline. No doubt this is shown on TV at some point… and it wouldn’t surprise me an exchange, if there is one, between Big Ben and Haley ends with a cold stare and firm but fast handshake! Who do you think will man the middle of the defense on passing Downs? We all wish it were Shazier, but I don’t see a clear candidate for the position. Between what you’ve gleaned and your gut feeling….